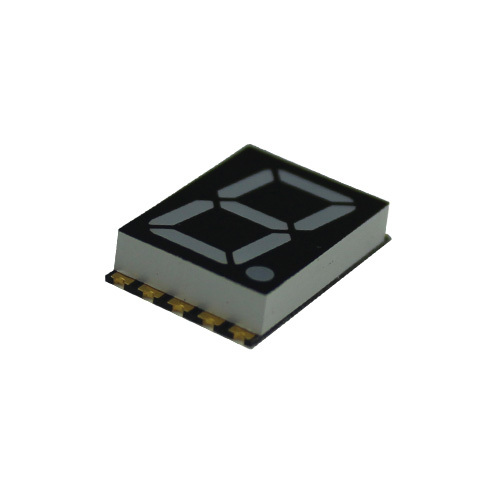 Thin SMD LED display enables innovative design opportunities due to its minimum thickness, low current, durability and bright output. Thin SMD LED display allows to display any number in additional with decimal point, and enables innovative design opportunities due to its minimum thickness, low current, durability and bright output. Available in 3 colors: red, pure green, and blue all offered with an excellent character appearance and aesthetic benefits for designers of medical devices, industrial control devices, and telecom equipment applications. 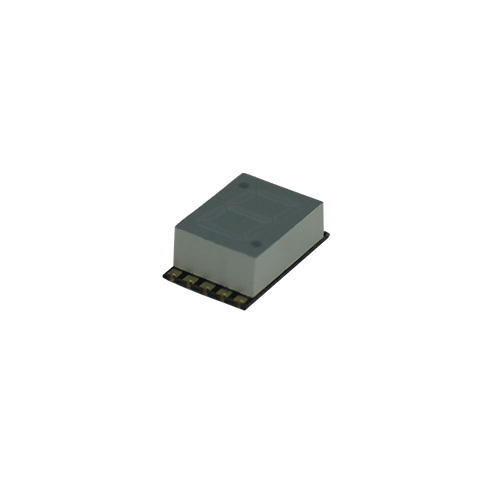 Low current, low power design delivers a bright light output and is specially designed for an automatic pick-and-place mounting process to reduce production costs. 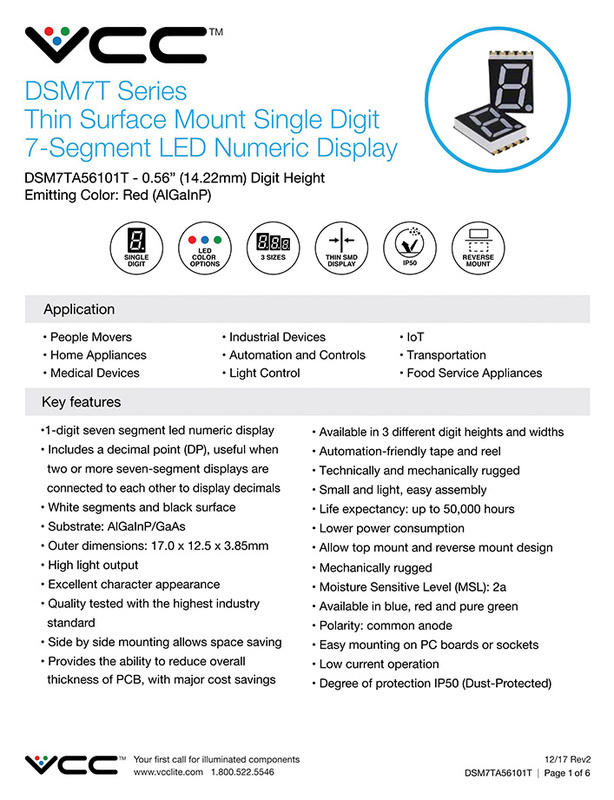 Top-mount and reverse-mount applications reduce overall thickness of PCB which provide cost savings. 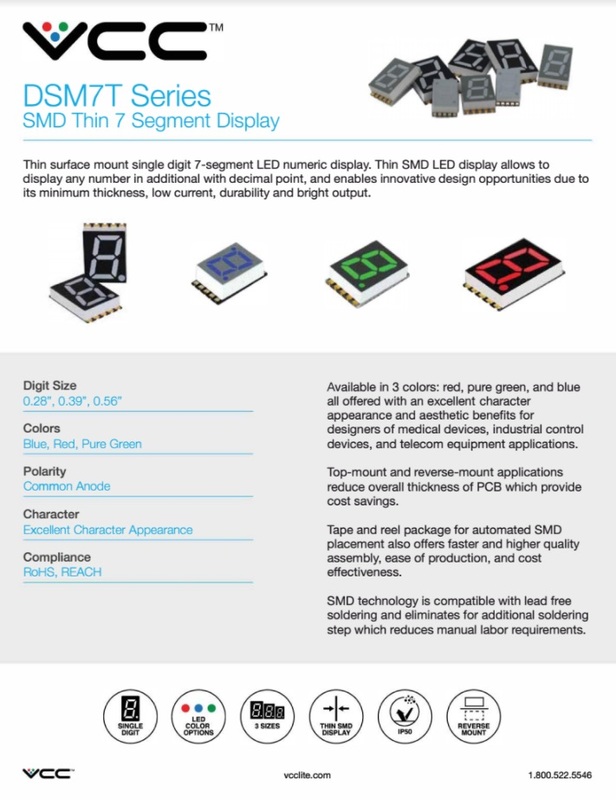 Tape and reel package for automated SMD placement also offers faster and higher quality assembly, ease of production, and cost effectiveness. The DSM7T Series really shines when a two or more seven-segment displays are connected to each other and decimals are valuable to communicating with operators or end users. 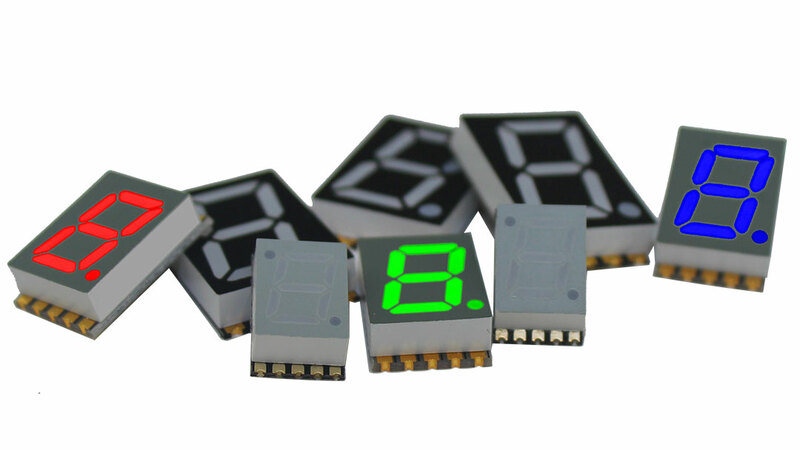 Available in blue, red and pure green LEDs, these thin numeric displays are ideal for a wide range of applications, including industrial devices, light controls, medical and transportation equipment. When your equipment demands accurate recognition regardless of external conditions. 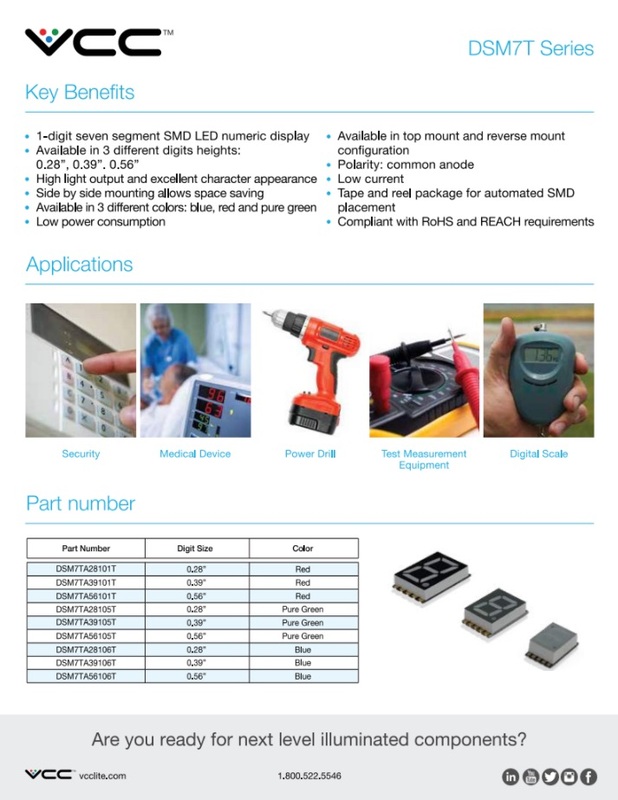 Jump directly to the technical data sheet and get more information about key features, ordering data, accessories and product dimensions. 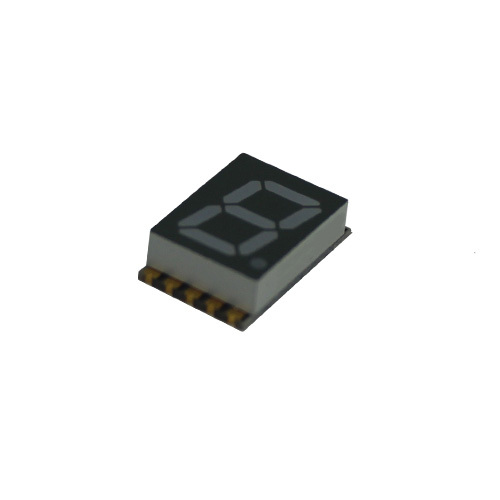 Are you ready for next level illuminated components? Start a conversation with one of our technical engineers today.